Recently we got caught up in real life and have not had too much time or inspiration to blog. I think that time has passed and to make up for the last month we are going to try and blog everyday until Christmas. 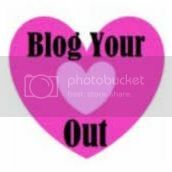 We are joing a group of bloggers at Amy's blog. We're both quite excited -so be on a lookout for all different types of posts! To kick off Blogmas we are starting with answering questions to an award we received a while back from our lovely blog BFF, Belle! 1 What/ who encouraged you to start blogging? How we started this blog is quite spontaneous. We were enjoying some drinks after a shopping trip. Next thing you hear is us discussing blog names. And here we are today. 2 How did you choose what topic(s) to blog about? We both love fashion and have always enjoyed talking about clothes and going shopping. Once we started blogging we discovered other topics we like to write about such as books and beauty products. 3 What is something most people don't know about you? We once baked a huge, three layer cake and decorated it (with a 'Raining Man' drawing) in order to try and win John Mayer concert tickets. 4 What 3 words describe your style? Natalia: cardigans, colorful, edgy Clara: indie-hipster, neutral, classy 5 What do you like to do when you're not blogging? We like to hike, read, drink tea and wine, explore Portland and of course shop! Are you doing Blogmas? Leave us your links- we'd love to follow some new friends!